Traktor Butter Rug (pair) DJParts - All Variety of Parts that DJ Needs. 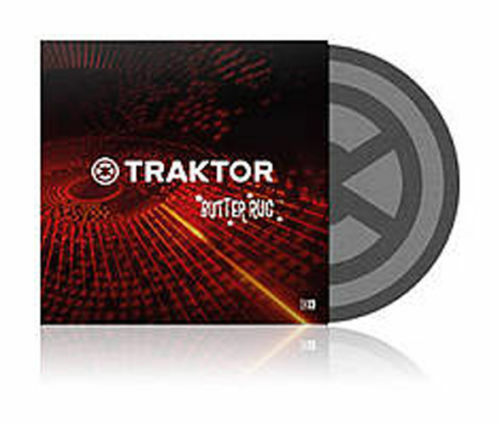 In collaboration with scratch guru Qbert and his Thud Rumble brand, we proudly present TRAKTOR BUTTER RUGS. These super-slim, ultra-slick slipmats will make even the trickiest scratches butter-smooth. The perfect accessory for performing with TRAKTOR SCRATCH PRO and TRAKTOR SCRATCH DUO. Butter Rugs are made of a distinctive synthetic material with no added plastic or wax coating. The reduced friction between vinyl and platter minimizes additional noise and gives you more responsive control. Step up to the executive-class of slipmats!